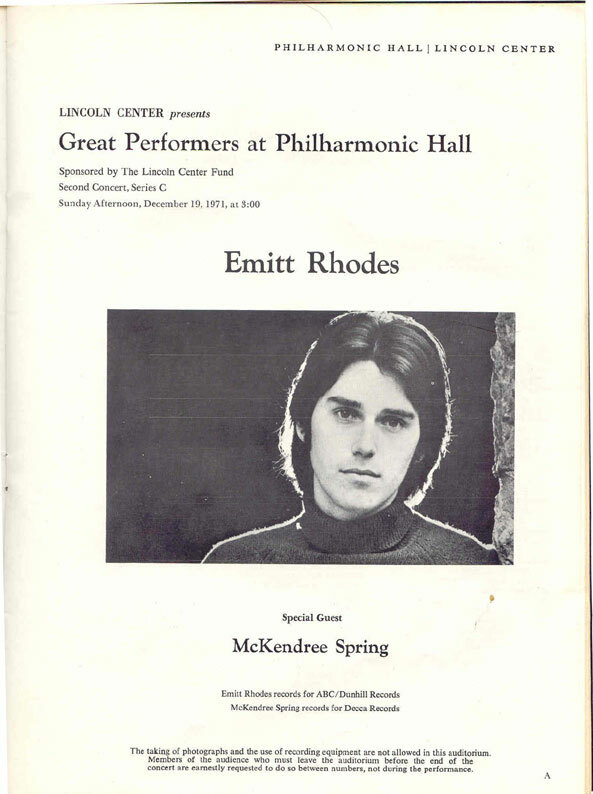 Yes, Emitt played Lincoln Center back in 1971. Amazingly, this show DOES exist in recorded form, though I have yet to hear it. It's being tossed around for a possible future release by a well-known record company (the name of which I'll keep to myself). 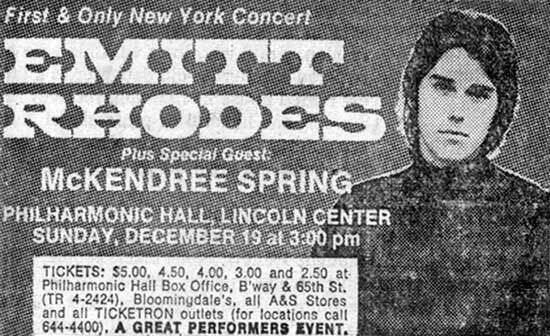 "What I remember about that night is Emitt entering from stage left (performers perspective), wearing glasses, non chalantly looking towards the balcony and musing, 'Nice place'. I was in the second row so I could hear him. He said it before he reached the mike. The hall was about one quarter full. I don't remember what he opened with. Emitt and the band sounded good though. He switched between guitar and piano. Steve Berman also attended the performance and faithfully held onto the program he received that night. Nice find. Big thanks to both Steve and Ronnie for their contributions.